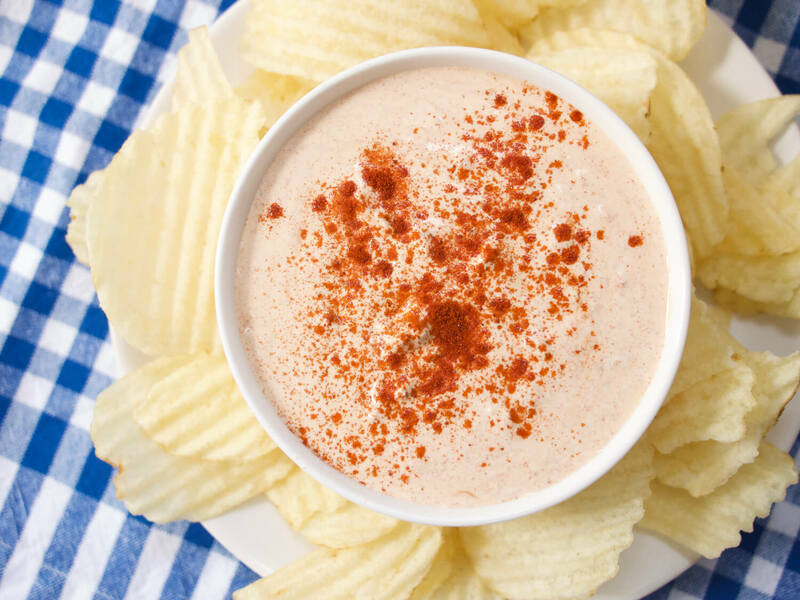 Clam dip gets a Spanish twist, inspired by a classic tapas flavor combination. One of the simplest Spanish tapas dishes is high quality tinned seafood mounded on top of potato chips, sprinkled with a smoked paprika and vinegar sauce. This recipe replicates that briny-tart-smoky-savory flavor combination in the form of a clam dip that's a little bit more party friendly (and affordable) than tins of Spanish seafood. If using whole baby clams, chop roughly. Stir all ingredients together in a container, cover, and allow flavors to blend in the fridge for at least 1 hour. Taste for seasoning and adjust as desired. Serve with potato chips or crudites. Clam dip will keep in the fridge for 4-5 days. Both of these recipes are kind of magical -- they take super simple ingredients like water, flour, butter, salt, and Vanns Smoked Spanish Paprika and turn them into beautiful, impressive golden brown focaccia and a deeply orange-red, perfectly flavored smoked paprika butter to be spread on top. It makes a great appetizer for any occasion, but be careful that your guests don’t fill themselves up on it! It’s a little bit addictive. It’s going to be a cold one on the East Coast this weekend — time for a warming breakfast that gives you the power and energy to get through the day. Here’s one amazing option — Shakshuka! Not only is it fun to say, it’s a delicious, savory, healthy egg dish that makes for an exciting and comforting meal. A lighter take on classic split pea soup, using bacon and Vanns Smoked Spanish Paprika to provide a nice smoky flavor. It’s that time of the year again -- holiday cocktail party season! Maybe you’re hosting one yourself; maybe you’ve been invited and would like to bring a snack along.